The shemagh, also known as keffiyeh, has become rather famous lately, starting its road to success as a scarf worn in the Middle East to protect people from dust, sand and heat. 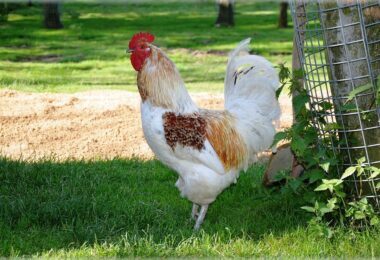 However, it soon became adopted by European and American soldiers who were fighting there, making it very popular at home too. Earthquake. You can tie it around your face and nose for protection against debris, or you can cradle your kid inside it, to protect them from sharp objects. Cover your head with the shemagh during the earthquake, and you can even reduce the level of anxiety you may experience. Fire. If there’s a fire, you should use something like a wet cloth to protect your airwaves and face from all the dust and heat. A shemagh is very appropriate for this purpose because it’s bigger. That way, wrapping it around your head, neck, shoulders and upper arms can protect a bigger part of your body. Shelter. 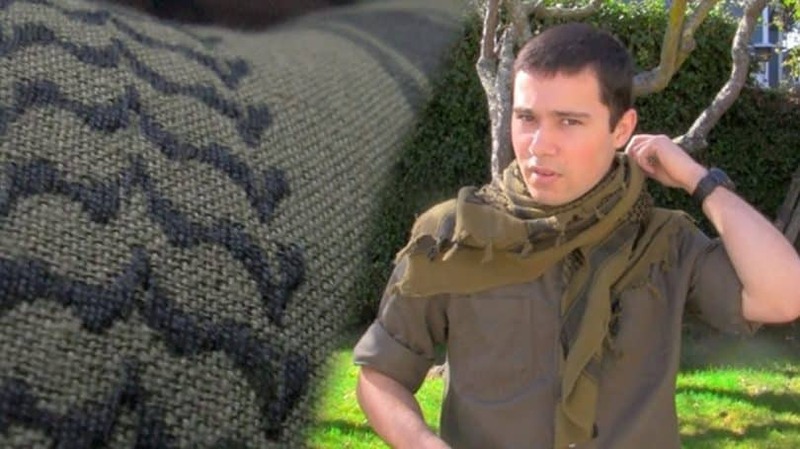 The shemagh isn’t only a tactical scarf. Placing it under your sleeping bag can provide extra protection, giving you a sound sleep. Of course, it’s not as good regarding insulation as a sleeping pad, but it’s still better than nothing. Sun protection. Spending too much time in the open sun can get you sunburns, dehydration or even worse, meningitis. The simple use of a light colored, lightweight keffiyeh tied around your head and shoulders will give you awesome sun protection. Dust protection. A trip in the desert has its perils, such as lots of sand and dust. Even at home, a dust storm can be as bad as a regular storm, and you need something to protect you from inhaling all sorts of debris. Otherwise, the lack of appropriate cover may render you unconscious. Snow protection. Snow storms are not the best of the bunch either, because the snowflakes feel awful on your face, especially if it’s freezing outside. 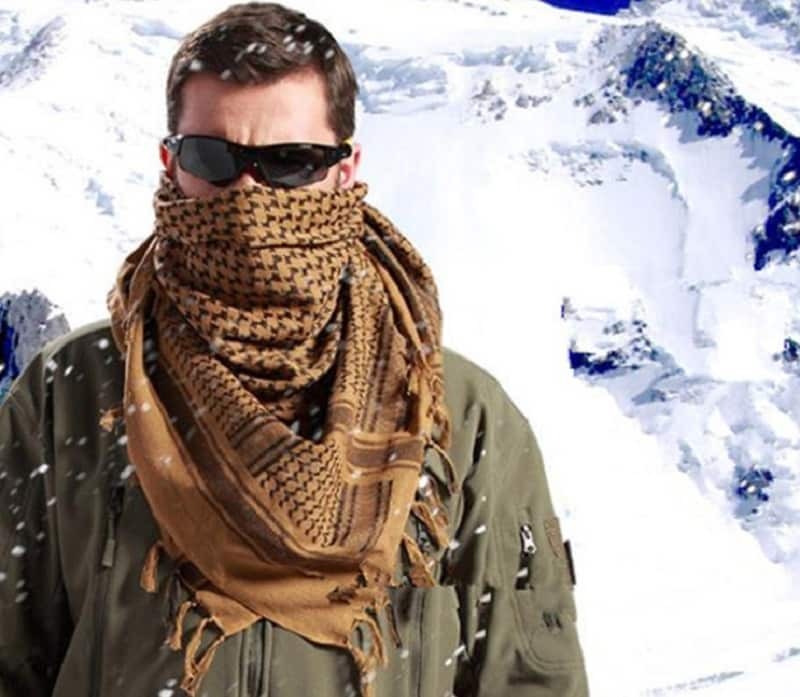 Snow can also blur your vision and make you experience high levels of anxiety, which is why wearing a shemagh can help you both physically and mentally. Cold protection. Sometimes not snowing can be worse than snowing, because that’s when temperatures drop to frosting levels. Even if it’s pretty sunny outside, you will still experience the biting effect of freezing cold, so having a shemagh handy can ease that sensation. But even if you go on a regular backyard camping trip and you forget your sweater at home, you can still reap all the benefits of a warm keffiyeh. Warm weather protection. A lighter weight shemagh, made from a whiter shade of cotton can help you deal with the effects of warm weather, by reflecting the sunrays away from you, and by covering your skin. Even if it may seem counterintuitive – after all, we tend to undress in warmer weather – covering up can actually be more beneficial. Wind protection. Wind can really get to your bones and make you shiver, so just wrap a shemagh around your head and back to prevent getting a nasty cold. Towel. Forgot your towels at home when camping? No problem, the shemagh can play that part too. Besides, rain can hit anytime even in the parking lot of your workplace, so having a shemagh handy ensures you don’t have to stay in wet clothes all day. Tablecloth. Dirty camping tables? Some campers aren’t very concerned about what they leave behind, which is why you may need to cover your camping table with something before eating. Potholder. The handles of your pots and pans can give you burns if you don’t have something to wrap them in, so why not a keffiyeh? You can even use it in your office kitchen if a co-worker has misplaced the actual potholder. Wash cloth. 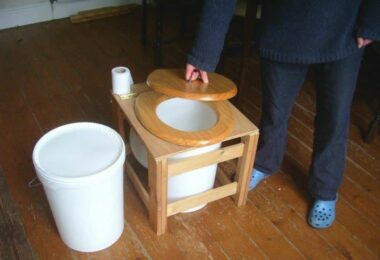 Again, this is a good use for camping, if you need something to wash your dishes with, so as not to carry them dirty back home. Makeshift curtain. Traveling for a longer time period and sleeping in your car? Or maybe you’ve just moved into a new apartment and haven’t had the time to decorate it just yet. Improvise a curtain from your shemagh to make sure you’re guarded from indiscreet glances. Water filter. 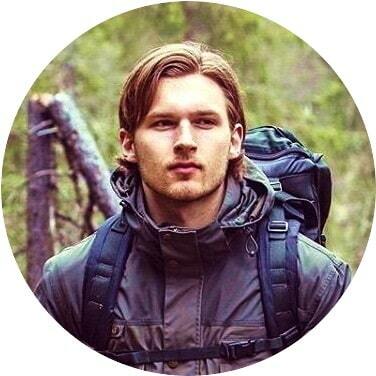 If you’ve forgot your water filter at home or simply don’t have a purification system, you can easily filter the water you need when you’re out camping by using your keffiyeh. Water collector. Tie the keffiyeh’s corners on some sticks you can find nearby and then put a rock in the center, a bottle underneath the rock and if it rains the water will drip straight into the bottle. Impromptu pillow. Stuff your shemagh with grass, dry leaves or even shirts and you’ll have something comfortable to place your head on, without carrying an extra-pillow in your backpack. Blanket. If you don’t have a sleeping bag, you might still need something to protect you from the cold during the night, which is another use of a shemagh. This time, one which weighs more and has a bigger size can be more appropriate when it comes to being a blanket. Traveling bag. If something happened to your backpack or if you simply need a sturdy addition, tying together the corners of your keffiyeh can become a good improvised traveling bag. Bandage. If you’ve hurt yourself you can cut the shemagh in smaller pieces which you can use as bandages to cover your wound. Tourniquet. If you need something to stop your bleeding in case it doesn’t cease on its own, cut a piece of your shemagh and tie it above your wound to stop the blood flow from irrigating your cut. Make sure you also check out our top picks for the best first aid kits for more information. Sling. A dislocated limb, a sprain or luxation need to be treated accordingly and that means placing the affected limb in a sling, which you can readily improvise by using your keffiyeh. Splint tie. If you have a fractured limb, you need to immobilize it with a splint, so that the bones don’t move too much inside the wound. So after you’ve made a splint, you can easily tie it with the keffiyeh, making sure everything stays still until you get medical help. Knee pad. A fall from your bike can make for a painful, bruised and skinned knee, but the pain can be reduced after you wrap your knee with something. A scarf works well in these cases, but so does your multi-functional shemagh. Baby wrap. Need to use something to cradle your baby in? The shemagh can serve that purpose too, because it’s generally large and sturdy enough. Kid-sized hammock. If you’re outdoors camping and want to make a cute cradle for your toddler to enjoy some rest in, tie your shemagh around two trees and let him swing peacefully to sleep. Trail marker. If you’ve gotten lost or if you want to show the way to other members of your group who are a bit behind, you can use your shemagh – or cut pieces from it for that matter – to indicate the way. You can even use it as a flag in cases when you want to signal something. Fire starter. Cut pieces from your shemagh can serve as valuable means of lighting more than one fire in dire situations like when you only have one match left. As such, cut small cloth pieces from your shemagh, place them in a tin can and burn them until they become charred. At this point, you can place them on top of a bundle of straws to make a flame and start a fire. Weapon. Sometimes you can be attacked when you’re alone in the wilderness, so making a flail from your shemagh by tying a rock inside one of its corners can be a good means of protection. Otherwise, you can use it as a Shepherd’s sling and even hunt small critters from a distance, to make sure you don’t go to bed on an empty stomach. See also our reviews on the top survival gear to help you. Fashion statement. Last but not least you can make a fashion statement and show your support for Palestine by wearing a black, red or white colored shemagh. Otherwise, just use it as a scarf and you’re still bound to get a lot of appreciative looks, since it’s a pretty quaint piece of garment. Below are the features you need to take into account beforehand, so you can make the perfect acquisition. It’s sturdy and resistant, which comes in handy if you need an additional traveling bag or a baby wrap. It dries up fast, if you use it for rain or snow protection, or as a towel. It keeps your body temperature constant, in case you need protection from heat or cold. When it comes to weight you can either choose a heavier or a lighter shemagh. That depends on the reasons why you need it for. If you’re looking for protection against the cold, or if you want a cozy blanket – a heavier shemagh is the right choice for you. On the other hand, if you’re planning to use your shemagh to protect you from heat or as a fashion statement, you can opt for a lighter weight model. You don’t need an item which can easily damage, which has poor craftsmanship or which can be easily undone at the seams. 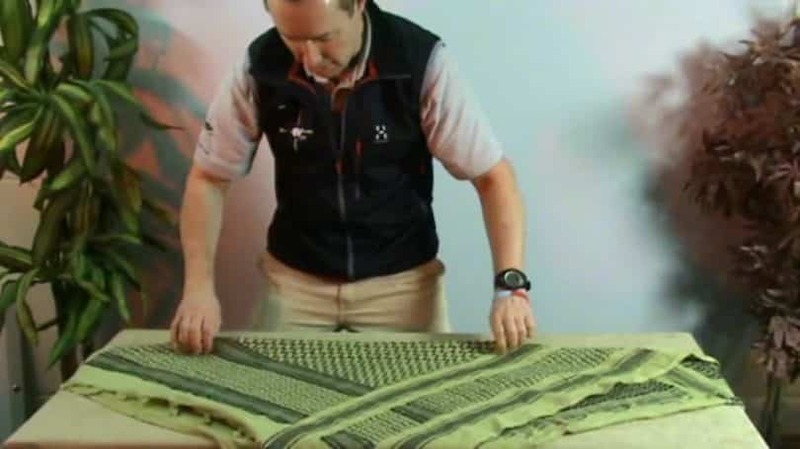 Sometimes, investing a little more money in a quality product, manufactured by a trusted brand can save you a lot of hassle in the long run, as well as ensure you can confidingly use your shemagh even for the purposes which require more strength. Since you’ll be wrapping your keffiyeh around your face, neck and head, you need an item which doesn’t cause skin irritation, and which can prove really comfortable. So don’t choose something just because it looks good, but because it feels good. If you’re into making a political statement, opt for colors like black, red and white, but avoid using them when you’re visiting Arabic countries. Apart from this choose a light colored shemagh if you’re planning to use it in warm, sunny weather and a darker colored model if you’re using it in colder, cloudy weather. 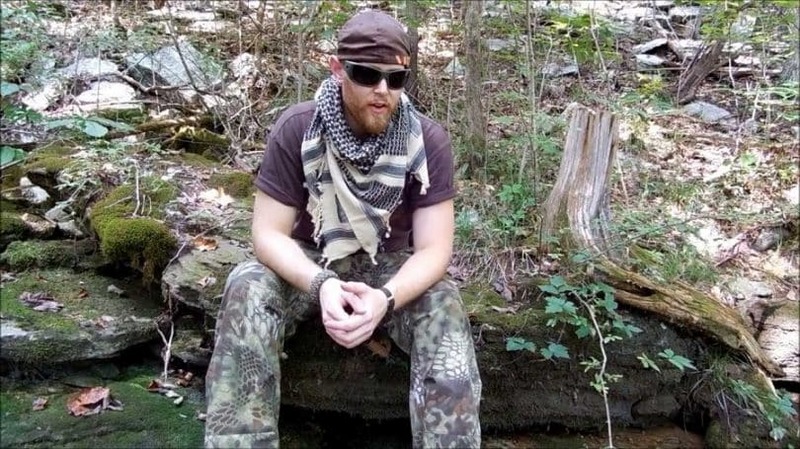 A bigger sized shemagh can be useful in a lot more conditions, especially if you’re out camping or hiking a lot. But if you’re just planning to give a more urban use to your shemagh, you can easily go for a smaller sized one. After covering the aspects of how and why to choose wearing a shemagh, the last thing you can learn if how to tie your keffiyeh. As such, we’re here to show you a few different ways to do that, which serve different purposes. This method is especially good for weather protection, as well as dust or fire protection since it covers your mouth and nose quite well. Make a triangle out of your shemagh. Cover your forehead with the folded edge, placing it in the middle of your forehead and making sure that the ends are equal both left and right. Place the right side of the shemagh under the chin, by taking its end towards your left side and over the left shoulder. Hold it steady with your left hand. Place the left side of the shemagh over your face, by using your right hand and pulling it to your right. Make sure both your nose and mouth are covered. Secure the two ends with a knot behind your head. 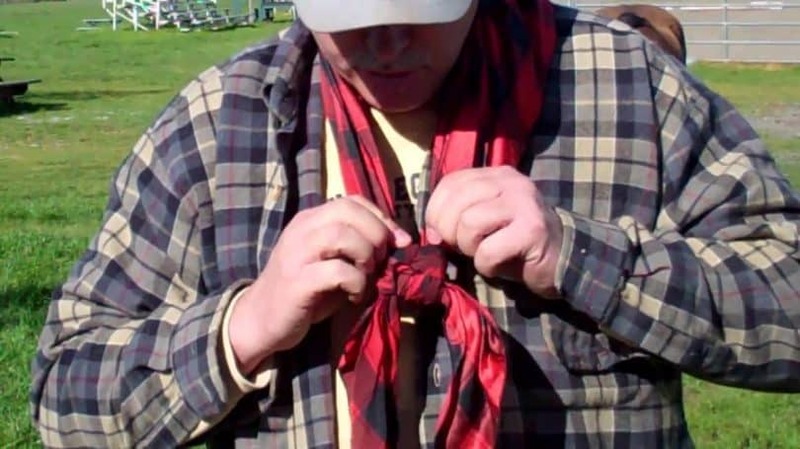 Make sure the knot is pretty tight, so that the keffiyeh doesn’t fall from your nose. However, it shouldn’t be too tight because you might still want to breathe. Make the required modifications to suit you better. If you don’t need to cover your mouth and nose, but just your head, pull the lower part down. If you don’t need to cover your head either, pull the top part down too and you get a nice looking scarf. 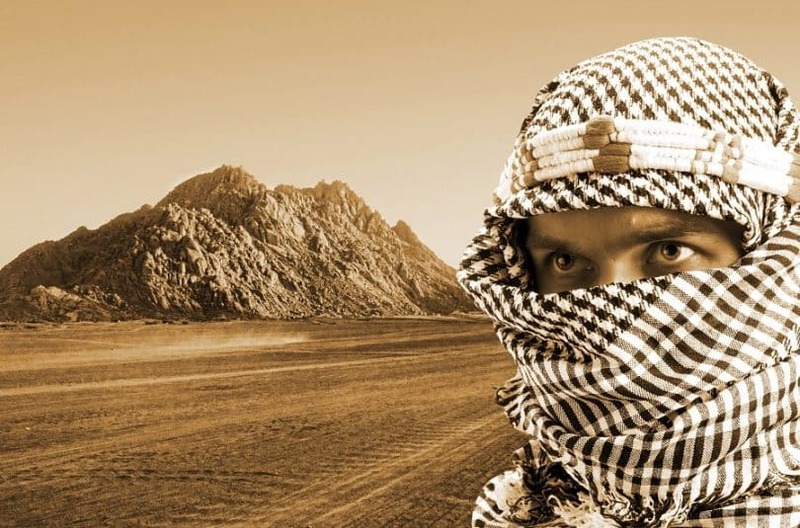 As opposed to the first method of tying the keffiyeh, which is more appropriate for weather protection, this method provides increased protection for dust storms or debris, because it will have more material covering your airways. Make a triangle shape out of your shemagh. Put the folded edge of the shemagh over your forehead, covering it until its middle. This time, make sure that the right part is longer than the left one by almost half. Take the right side across your mouth and your nose, using your left hand. Continue wrapping the longer part over your head, until its end meets the end of the left side of your shemagh. Make a knot or two in order to tie the shemagh’s ends, and secure the scarf over your mouth and nose so that it doesn’t fall. Again, be careful not to tie the knot too tightly or otherwise you won’t be able to breathe properly. Make the required modifications to suit you better, ensuring that the shemagh doesn’t fall over your eyes and covers well your airwaves. This time, because of the different wrapping style, you won’t be able to turn the shemagh into a scarf or simple headwear. If you’re more interested in your apparel and possibly making a fashion statement, you can use this method to tie your keffiyeh. Make a triangle out of your keffiyeh. Wrap the folded edge of the keffiyeh over your mouth and nose, making sure that the lower half your face is covered with one corner of the triangle, while the other two corners will cover the left and right sides of your face. Take the left and right corners around the back of your neck, making sure that the shoulders are covered, and tie them together in a knot. Again, the knot shouldn’t be so tight that you find it difficult to breathe, but not too lose so that the keffiyeh doesn’t hold. Bring the two ends in front of your chest, over your right and left shoulder respectively. If you want to hide them, tie them in another knot under the lower corner of the keffiyeh. 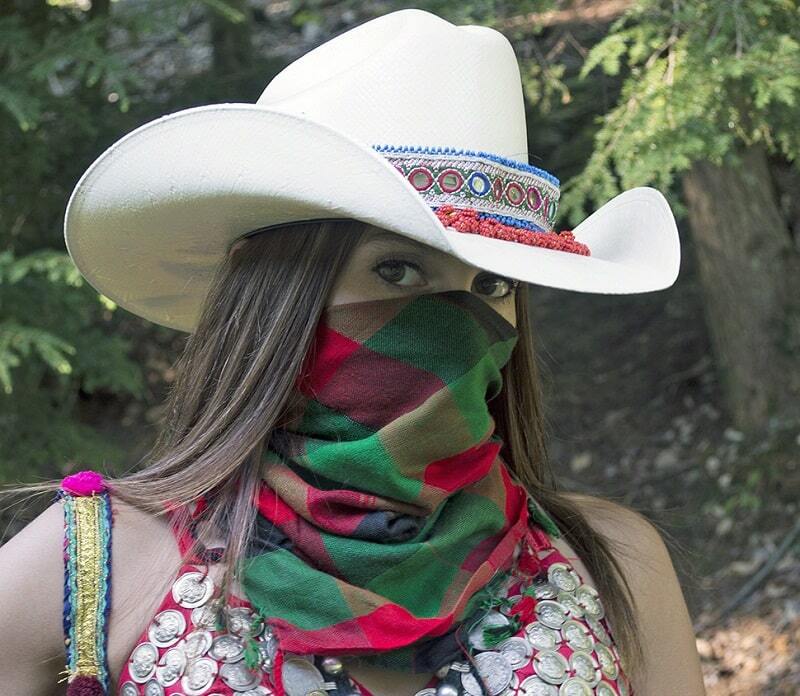 Bring down the folded edge of the keffiyeh – the one that was previously covering your mouth and nose. This way, you’ll get the casual apparel you’re looking for. This is another fashionable look you can opt for when tying a shemagh, but it’s better suited for windy weather, or for smaller kids who need a good, sturdy neck scarf in case they fret around a lot, which might loosen the previous sort of scarf. Take the left and right corners around the back of your neck, making sure that the shoulders are covered, and cross one on top of the other, without making a knot. Bring the corners in front of your chest, by crossing your left and right shoulder respectively, and tie them together in a knot. Again, the knot shouldn’t be so tight that you find it difficult to breathe, but not too lose so that the keffiyeh doesn’t hold. The remaining portion of the material in front should be tucked inside your jacket or top for a more secure result. Besides, your whole countenance will be more on the neat, carefully groomed side. Skip this step if you want to look more casual. Bring down the folded edge of the keffiyeh – the one that was previously covering your mouth and nose. This way, you’ll get the final touches to the apparel you’re looking for. 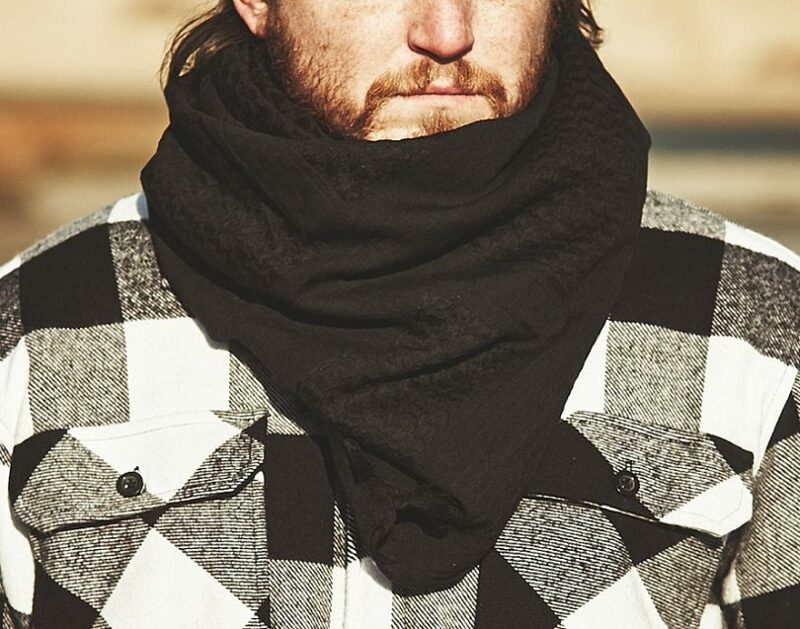 If you’re looking for a mix of scarf plus mouth and nose protection, but without much hassle and without making a corresponding headwear from your shemagh. Make a triangle our of your shemagh. Wrap the left and right corners one on top of each other at the back of your neck, but don’t tie them. Bring the two ends in front of your chest and cross them again one over each other in order to bring them to the back. Tie these two ends in a knot, which shouldn’t be too tight nor too loose. 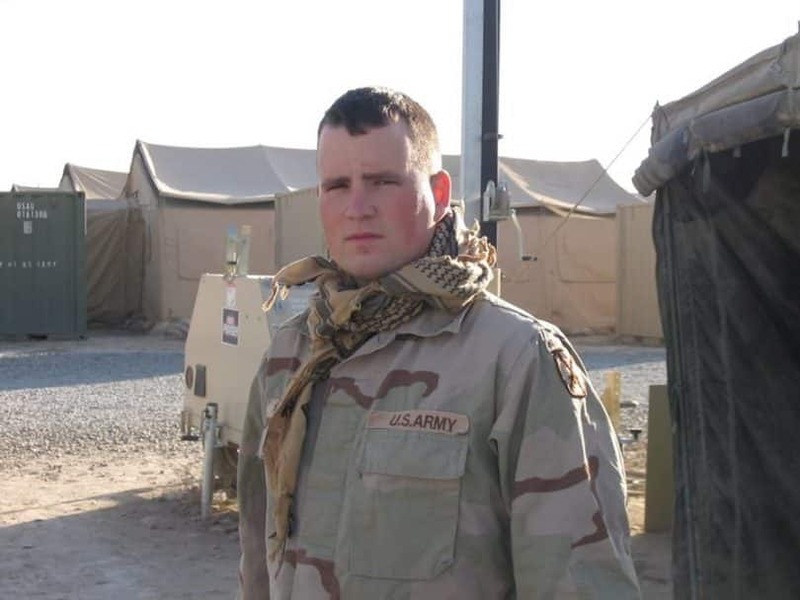 That being said, there are all sorts of new, interesting and fun ways to wear a shemagh, either as garment, weapon, bag, or baby wrap, turning it from a tactical scarf into a multi-functional item, provided you choose something that’s high-quality.